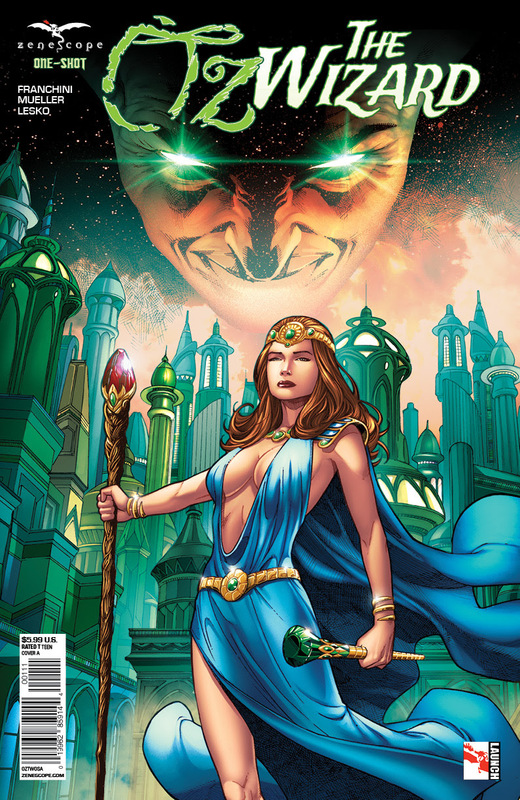 When a fiery explosion erupts in the ancient city of Petra, Jasmine races against the terrorist group THE FORTY THIEVES to prevent the shattered pieces of the Crown of Kings, an object that haunts her past from being reunited and unleashing an unearthly power on the world and all that she holds dear. 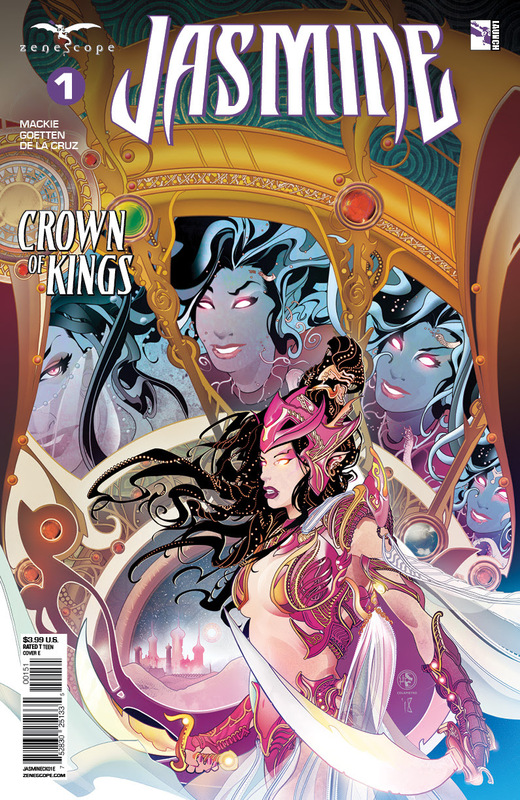 Part one of this new 5 issue mini series starts off with a bang – with the 40 thieves and a mystical crown! it’s a good introduction with Jasmine thinking about her history and her history has a point here too – she knows about the Crown and what it can do, as well as knowing Ali. Ali doesn’t seem the bad guy here, but we shall see. At this early point here are more questions than answers, but it looks like we’re going to have a fast moving series as everything seems against the clock in this issue! OZ has been ruled by the Wicked Witches, sieged by The Warlord, and even corrupted by the corrupt magic of Zamora, yet it still stands. Now the dawn of a new age of OZ has arrived. There is calm in the lands, happiness in its homes, but a shadow is creeping into the hearts and minds of its citizens and with it a new evil comes. OZ must prepare for a battle that will determine the fate of the very soul of the Emerald Kingdom, when The Wizard makes his move! A quick and well done recap is in order here, and that’s what we get – a story told by the Scarecrow! this is an interesting teaser for what is tom come. A peace is across Oz, but evil returns and in this case the coup is quick and well done, with illusions and what seems like a link to the throne of Oz. The gang are getting back together and they are the underground rebellion now, so it will be interesting to see this series!